DALI Opticon 1 review | What Hi-Fi? Small but enthusiastic. Not an excerpt from Ronnie Corbett’s lonely-hearts ad, but our take on Dali’s brand new Opticon 1 speakers. A “future Ikon” that borrows technology from Dali’s Epicon and Rubicon series, these standmount speakers have been teased more over the last couple of months than a bed-wetter on a school camping holiday. Getting our first proper look, we like what we see. They are little, but tidy – ideal if you’ve only a little room with which to play. And beautifully finished, too. Remove the front grille and you’ll find a mid/bass driver of wood fibre, which is the material Dali uses for its more expensive speakers, and no dust cap. The random structure of the wood fibre, as well as producing a rich sound, stops build-up of internal resonance. At first glance, this looks like a sealed box design, but peek round the back above the recessed speaker terminals and you’ll spot a small reflex port. Essentially, Dali has thought quite a lot here about the build. And what of the sound? We position the Opticon 1s straight, not toed in, about 18cm from the back wall and two metres apart, and play Admiral Fallow’s Isn’t This World Enough? From beat one, we are struck by how animated the sound is. The midrange is so agile and nimble, it’s difficult not to be swept along with the marching rhythms. The vocal, too, sounds convincing, and the relationship between lead and harmonies is neatly wed. That’s a combination of good detail, dynamics and timing. The tonal balance, though, is a little top heavy. Changing lanes with 65DaysOfStatic’s Sleepwalk City, we could still do with rounding off some of the treble and adding a bit more oomph to the bottom. We aren’t expecting something of this size to make us queasy with bass, but it would help solidify and frame what is such a positive midrange. Of course, a little more weight can be achieved, by moving them closer to the wall. But that compromises on timing and agility, which are the Opticon 1’s prize assets. Though you gain in bass weight, the timing loses some of its snap and you’re left with a less intense and less engaging listen. We compare the Opticon 1s with B&W’s 685 S2, our 2014 Product of the Year Award-winner. The midrange agility and timing are still edged by Dali’s offering, but the 685 S2s are better balanced; they are true all-rounders and, at this price, that matters. That isn’t to say you should pick B&W over Dali unquestioningly; the latter could quite easily be part of a great-sounding system, but you’ll need to take extra care and probably spend a decent amount of money pairing. For example, something like Marantz’s £300 PM6005 amplifier, the 2014 What Hi-Fi? Awards champion, would help with the balance but struggle to keep up with the Opticon 1’s taut timing – basically not making the most of the speakers’ strengths. To get a happy marriage, you’re probably looking at an amp around the £1000 mark - something like Naim's Nait 5si. If you’ve spent £500 on speakers and £200 on stands, that isn’t an unreasonable price to pay for what would be a very exciting sound, but it’s probably more than most people on this budget are willing to countenance. 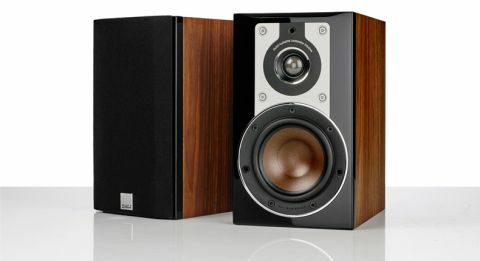 So, there you have it: a great looking, well built and enthusiastic-sounding pair of speakers that will suit some listeners and some equipment down to the ground.